Christmas is just around the corner and it gets easier to say so as the sights and smells of the holiday bombard the senses. Firs and spruce are the traditional Christmas trees for Europe and North America with their inherent properties making it perfectly suited for use as holiday decor. The boughs and needles remain fresh looking and well retained even after several weeks indoors. 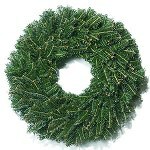 And I must not forget to mention that they are also pleasantly aromatic, helping create that Christmas atmosphere if the decor wasn't enough to clue you in. The holiday season will be made complete with the addition of the essential oils from fir needles, pine needles and spruce needles that are made to enhance the freshness of the scents of your Christmas tree. It really depends on which area you're from and what types of trees grow in your area for you to fully appreciate any of these three oils. For all the food lovers out there, you must be wondering "what are the perfect essential oils for Christmas?" Well I have the answer for you. The essential oils of Cinnamon, ginger, clove and nutmeg are some of the classic scents for the holiday season as they are reminiscent of Christmas cookies, eggnog and other holiday items. Other popular essential oils for Christmas include peppermint (just think of all those candy canes), anise, vanilla and cardamom. Again, we're going back to the smells of the food that are usually served during the holiday season. There are also traditional religious-oriented essential oils used during the holidays, namely frankincense and myrrh. These are often used in church ceremonies due to these oils being mentioned as gifts to the newborn Christ. 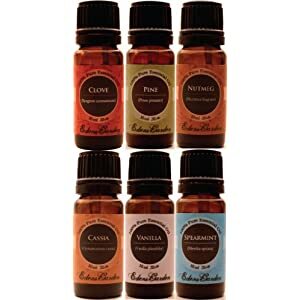 Keeping all of these essential oils in mind, you can make a blend and diffuse your favorites knowing that they will bring back some fond memories of holidays past and make new memories of Christmas this year and other Christmases to come. From the food to the Christmas trees to the traditions, these essential oils will help set the joyous mood of Christmas. In addition to all of that, these essential oils, with their inherent healing properties, are also good air cleaners that can help fight off illnesses. Any essential oil blend can be used in most diffusers. You can put your favorite essential oils for Christmas in tart warmers and fan diffusers if you want to get scents quickly diffused into a larger room while terra cotta disc diffusers are great for smaller areas, like on the Christmas tree or near the buffet table. You don't have to be stuck on using just the essential oils aforementioned. Try making blends with orange, cassia, geranium, juniper berry, vetiver, coriander, rosemary, petitgrain, ylang-ylang, sandalwood, cedar wood and any of your favorite essential oils to make your holiday blends unique from everyone else's. Everyone knows that the Christmas season is here but when the day comes, you can create that perfect atmosphere with the help of your blend of essential oils. Make everyone remember the sights, smells, tastes and feelings of this joyous occasion and have everyone fall in love with aromatherapy while you're at it. Christmas Morning Blend - The essential oils in this blend are kept a secret, but I'm sure once you smell it - you will be able to pick out at least 5 different holiday scents!